CITROEN Car Stamp. Issued by Niger in 2015. (Set of 2 values (2v Set): 85, 100. You will be back for more! 3) Select each item and 'Add to Basket'. Issued by Burundi in 2012 as part of their Electric Vehicle stamp series. 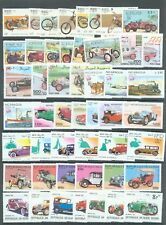 Electric Vehicle Stamp Sheet. Issued by Zambia on December 23rd, 1998. Classic Car Stamp. TUVALU Set 5 Issued 7th May 1987. 10c 1915 Chevrolet Baby Grand. 60c 1969 Matra-Ford MS 80. Stamp Set is supplied in board-backed envelope for protection. 2c 1930 Dupont Model G. 40c 1912 Peerless Model 48-six. Good condition set of Tristan Da Cunha. It is the 1995, Local Transport set. 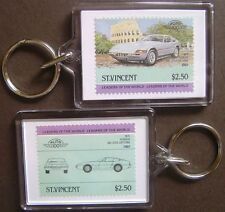 1988 GRENADA Century of Motoring Car Stamp. 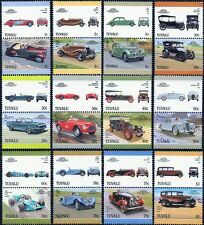 Issued by Ghana in 2001 as part of their Classic Cars stamp series. 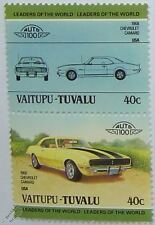 Classic Car Stamp. Bristol Lodekka (Low Decker) Bus Stamp. 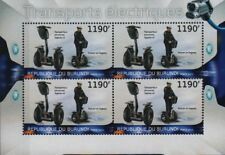 2013 WWI Field Vehicle Stamp. 100% Genuine Mint Stamp as per Title and Scan. Issued by Mozambique in 2013. 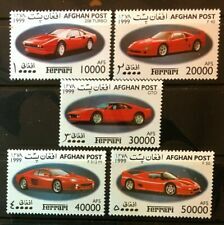 Ferrari Car Stamp. Issued by Guinea-Bissau in 2013. 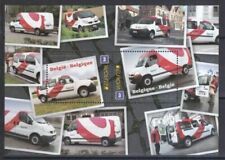 Citroen Vehicle Stamp. Issued by St Thomas & Prince Islands in 2015. Independence, 14th anniv. Motorized police, Fire engine, Ambulance. 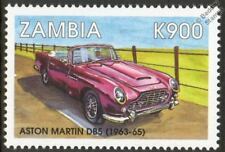 Gambia 1979, SC 388-390, MNH VF. Issued by Guinea-Bissau in 2016. 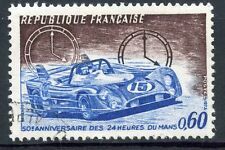 Racing Driver & F1 Car Stamp. Aus Sambia. Die Firma AC (Auto Carrier) in England produzierte neben ihren dreirädigen Kleinfahrzeugen auch eine spezielle Serie von Sportwagen. Die Rückseite besteht aus einem Trägerpapier, damit die Briefmarke frankiert werden kann, die Vorderseite aus 22karätigem Gold in Form eines hochwertigen Relief-Prägedrucks. 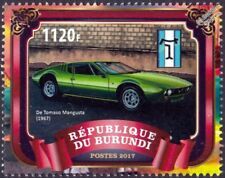 Issued by Burundi in 2012 as part of their Electric Vehicle stamp series. Electric Vehicle Stamp. The first stamp depicts a portrait of the car and the second stamp shows the technical plan drawings. The scan below shows both sides of the keyring. 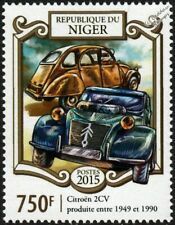 Issued by Niger in 2016.